Home Companies Chengli Special Automobile Co., Ltd.
Nowadays, LPG GAS station business is very polular in African countries. And they called lpg gas business “money tree”. It is so blooming that everyone catches the chance to their gold. From 2015s to 2017s, there are so many clients come to our factory to purchase our lpg gas pressure vessels for their blooming lpg gas plant business. 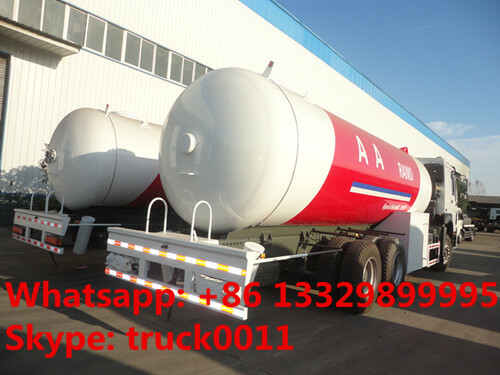 We have exported surface/undergound lpg gas storage tanks, road transported lpg gas tanks, lpg gas delivery trucks, lpg bobtail trucks, skid lpg gas filling trucks all over the world. 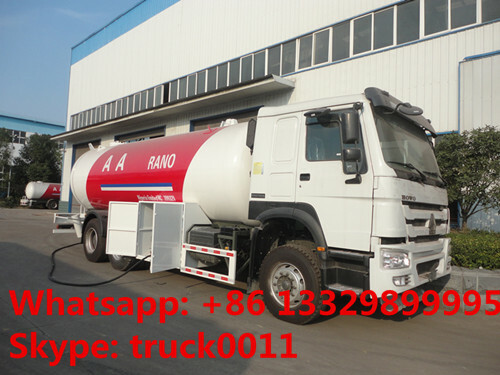 If you're interested in our lpg gas dispensing truck, please feel free to send email to truck0011@163.com or talk to Anita by whatsapp/wechat/Mob. : +86 13329899995. HOWO 6*4 20cbm-25cbm lpg gas dispenser trucks adopt HOWO Euro 2 336hp diesel engine, with the volume of 25,000L.And the lpg gas filling vehicle adopts LPG gas dispensing machine with one display, one nozzle, lpg gas pump, etc. More information, please check the pictures as below. Filling nozzle Suitable for refilling different kinds of gas cylinders. Chengli Special Automobile Co., Ltd. is the leading manufacturer and supplier of pressure vessels, such as ASME bulk lpg gas storage tank, lpg gas trailer, bulk lpg gas delivery truck, mobile skid lpg gas station, mobile propane gas cooking dispenser truck, etc. in China. More information, please feel free to contact with Ms. Anita Deng. 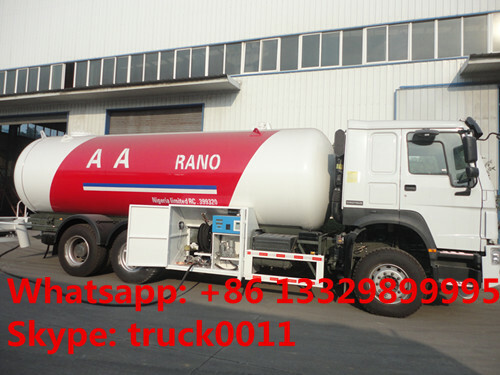 LPG Dispensing Truck is also called LPG gas bowser, LPG gas filling vehilce, mainly used to transport LPG,including propane, isobutane, etc liquefied petroleum gas. 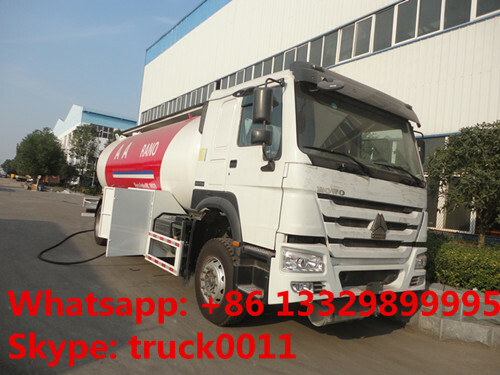 Chengli Special Automobile Co., Ltd. can manufacture LPG Gas Tanker Truck from 5.5 m3 to 35.5 m3, and we also can manufacture LPG Storage Tanker from 5m3 to 120 m3 and LPG trailer from 30 m3 to 59.52 m3. 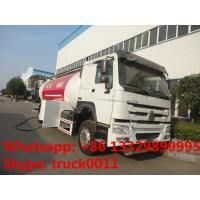 The LPG gas trucks for sale is also called LPG road tanker truck, LPG transportation truck, LPG tanker truck, bulk LPG gas truck, etc. The lpg gas trucks consists of truck chassis, lpg tank, thermometer, pressure gage, safety vavle,pipeline systems,etc. 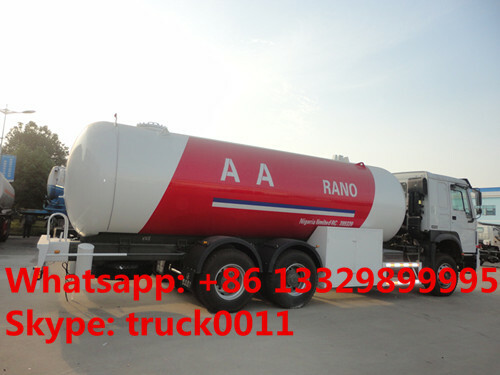 The lpg gas tank truck is mainly used to transport lpg gas. 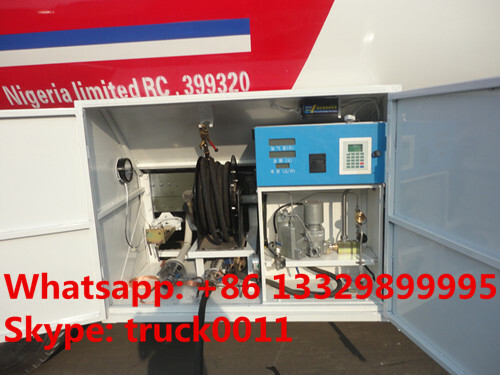 It also can be used as a mobile gas station after equipped gas dispenser, lpg gas pump,etc. The lpg tank of lpg trucks are made of Q345R, one high quality steel produced by Chinese famous steel manufactuer---WUGANG. The Q345R is instead of 16 Manganese.It is special material for “CLW” brand LPG storage tanker manufactured by Chengli Special Automobile Co., Ltd. adopts scientific leading treatments, assuring the lowest Shrinkage and highest dimension stability at the low temperature. The advantages of the LPG storage tanker are low-temperature storage, easy transporting, safe and reliable, easy maintain, etc. The LPG storage tankers are suitable for storing LPG, liquid ammonia, carbon disulfide, epoxy ethane, gasoline, butane, propane, propene, etc. All the LPG tank trucks and LPG pressure vessels manufactured by Chengli Special Automobile Co., Ltd. are line with the GB150-1998<steel pressure vessel>, <Supervision Regulation on Safety Technology for Pressure Vessel, Regulation of Safety Supervision for Liquefied Gas Tank Car>.